A celebration of familiars. . . This is a limited edition Pentacle. I only have a couple of these pendants available so once they are gone that's it. It can easily be made into a Mother's Paw® that can hold 7 birthstone crystals! 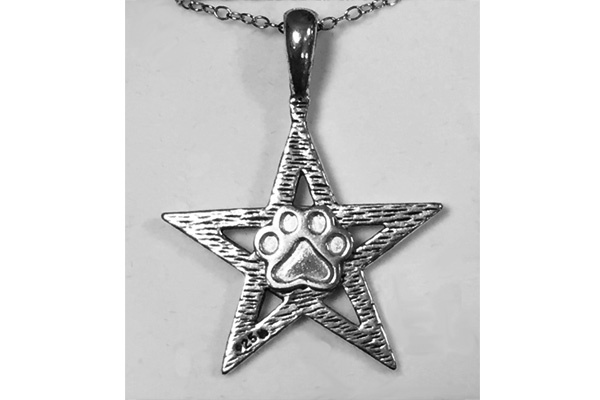 This sterling silver Puppy Paw® Pendant comes w/an 18" sterling silver chain pendant & takes about 1 week for delivery. You can add 1 to 7 tiny birthstone crystal(s) which makes it into a Mother's Paw®.